Home Food Future Health Questions Science Technology Will Breast Milk Be a New Superfood of The Future? Mother’s milk isn’t just for babies anymore. 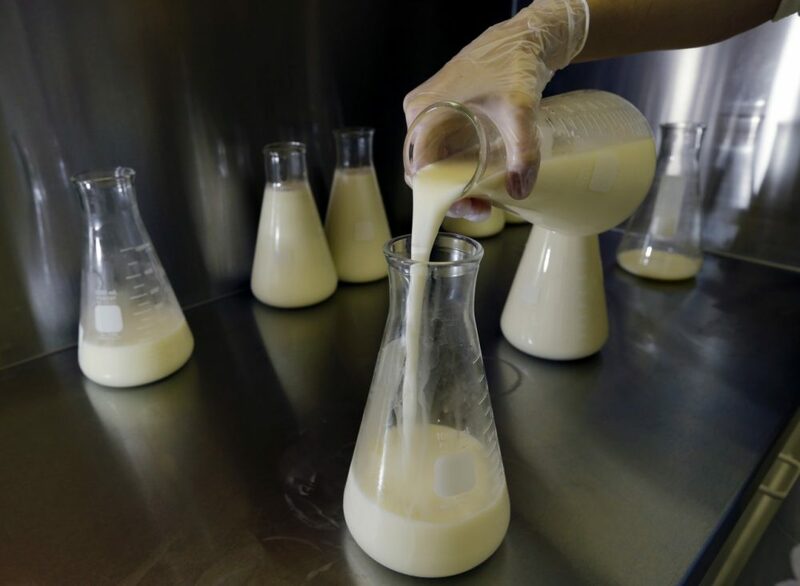 Global chemical giants DowDuPont and BASF are investing millions to ramp up production of an indigestible sugar found naturally in breast milk. Infant formula makers like Nestle can’t get enough of the synthetic ingredient. Now the companies are eyeing a potentially bigger customer: adults. DuPont estimates the annual market could reach $1 billion. Human milk oligosaccharide is the third most common solid in breast milk, after lactose and fat. HMO (Health maintenance organization) escapes digestion, allowing it to reach the colon where it feeds beneficial bacteria. HMOs may explain why breastfed babies tend to fare better than formula-fed, said Rachael Buck, who leads HMO research at Similac formula-maker Abbott Laboratories. “It’s just been a fascinating treasure trove of benefits that we’ve uncovered,’’ Buck said. In babies, HMOs strengthen the developing immune system, helping fight infection and inflammation while aiding brain development, according to early research. New studies show those benefits may extend to people of all ages, fitting neatly into consumers’ growing fascination with probiotics —the “good” bacteria that can help keep a human body healthy. Synthetic HMOs come from the formula industry’s quest to manufacture a breastmilk substitute that’s as close to the real thing as possible. The purported benefits are still viewed with scepticism by some in the scientific community — especially when they come at a premium price. Commercial production is typically accomplished through a fermentation process using giant vats filled with microbes genetically engineered to produce specific HMO varieties, such as 2’FL. “Our aim is to expand on our scientific know-how on specific health functions of HMOs to adults as well,” said Stefan Ruedenauer, BASF director of human nutrition research and development. HMOs are known as prebiotics, nourishing desirable microorganisms that occur naturally or from probiotics. DuPont is marketing its 2’FL HMO, branded as CARE4U, to consumer manufacturers who can use it in adult supplements for digestive and immune health, said Ratna Mukherjea, global research and development leader at DuPont.